My Name is Aine Ryle! 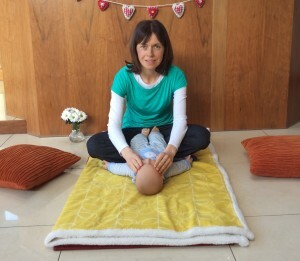 I am a Certified Infant Massage Instructor, Physiotherapist and mum of three. I have always been passionate about health and well being. When my second baby was born he had a very upset tummy for several months. I sought the help of a baby massage instructor who came to my home and taught me the colic routine. This was to be my greatest friend over the next few months as I sought to ease his discomfort. Motivated by the above, I fulfilled my ambition to become a baby massage instructor in 2014 when I completed my certificate. 1996 B.Sc (Hons. ) Physiotherapy, Trinity College Dublin. 2004 H.Dip in Musculo Skeletal Medicine, Royal College of Surgeons in Ireland. 2014 Cert in Infant Massage, International Assoc. Of Infant Massage.